November's Bizarre Day is November 21st - World Hello Day. Since I need many many more Christmas cards, I chose a Christmas Hello which fits my world right now. The poinsettia is from EH, the hello die is W&W, the smaller sentiment is from MFT and the yellow gems are from Pretty Pink Posh. I'm taking a small break through the end of the month for the Thanksgiving holiday and will be back in December with the remainder of my Christmas cards...as they get made! Lol. As with many of you, lots going on here and I am more often away from my crafty space than in it. I have many more Christmas cards to make. Thank goodness Thanksgiving is early this year. I have two cards for several challenges. Here is the photo for the TWOFER CHALLENGE - WREATH. The holiday card is obvious in its wreath use. 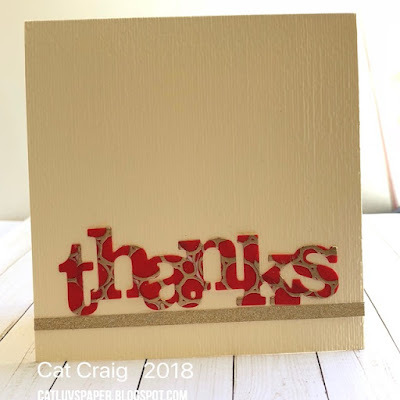 The thanks was die cut after embossing several wreaths on red vellum and then tearing them apart and covering a length of card stock solidly with the pieces. On this closer photo, one can see the circles of the bubble wreath more clearly. I am entering this to JUST ADD INK -Just add a big bold sentiment. 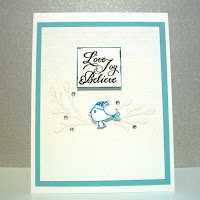 Each card has in common the use of the Texture EF from Stamping UP and the wreath stamp from EH's Homespun Holiday. Additionally I used vellum (white and red), gold embossing powder, gold glitter paper, and gold tape. The sentiments came from MFT (snowglobe sentiments) and W&W (Big Bold Thanks cut away). Thank you very much for visiting and commenting at this busy time of year! I played with some brusho crystal colors today. Of the three panels I made...I liked one...the other two were to dark and splotchy so I diecut them with a Thanks die and cut out some of the leaves. I made 3 cards and still have a few pieces left to make another if I wish. These cards are going to Simon Says Stamps Work it Wednesday - Thanks, And also to Shopping our Stash - Tic Tac Toe, I used the third column Heat Embossing, Thank you and pigment powders. I stamped several leaves, embossed them in platinum embossing powder, and then proceeded to add some brusho crystals. I then softly spritzed water on the paper to allow the crystals to spread color. I used a red, a green and a yellow. I got red, green, yellow, brown and orange colors from that combination. I'm still dragging on the mojo front. However, the sketch at Freshly Made Sketches, along with the Muse projects at both Muse and Muse Christmas Visions all came together for me instantly. 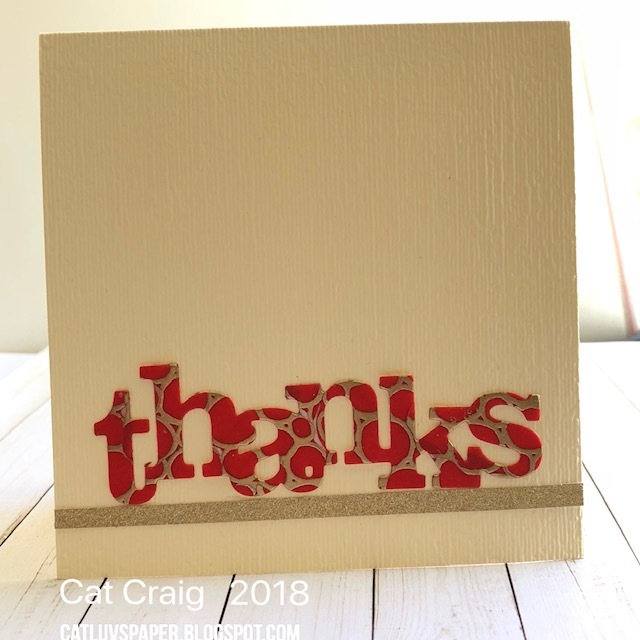 The catalyst -- die cuts my friend Betty sent me. I immediately saw the card I wanted to make in my head. 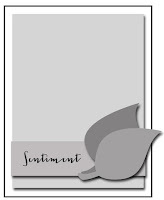 Its a bit tough to see, the card base is dry embossed with a linen type texture, the diecut window is from SSS, the sentiment is from MFT. I've been in a bit of a slump card wise - its easier to do something else like chores and that usually never happens. I have to address my Fall/Thanksgiving cards, send some die cuts to friends and then maybe my mojo will return full force. 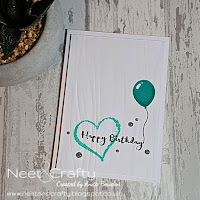 In any case, I have a card for Case this Sketch and Simon's Wednesday challenge. Stamp set is PTI's Autumn Adornments, inks are all SSS (Dark Chocolate, Orange Peel, School House Red and Leaf Green. Card panel and base are Michael's 110lb vanilla card stock. I've had little mojo lately and a whole bunch of half done projects. Tonight I decided to relax with some pencil coloring of this fun new wreath by Pretty Pink Posh. I love the wreath, and there are some individual images that mimic the wreath pieces just a shade bigger. I stamped the image with brown ink on kraft cardstock, then used prisma color pencils to color it, and the blender pencil to blend the colors. When finished, my card works for the following challenges. 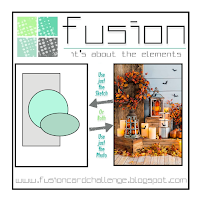 Here is my card for the October Card Chain Challenge. I went with the sketch option this month. 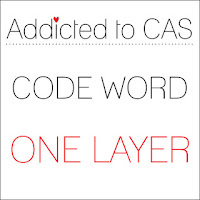 On a chocolate colored card base, I added a sentiment from W& W's Big Bold Seasons. Along with marker colored leaves from Lawn Fawn. This month my card goes to Alabama and a new recipient whom I haven't sent a card to before. I hope she likes it.